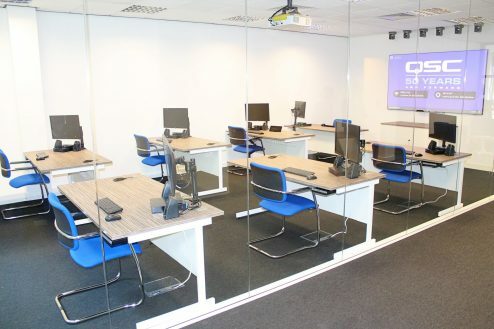 PrevPrevious Case StudyFreedom Technology break out of serviced offices! 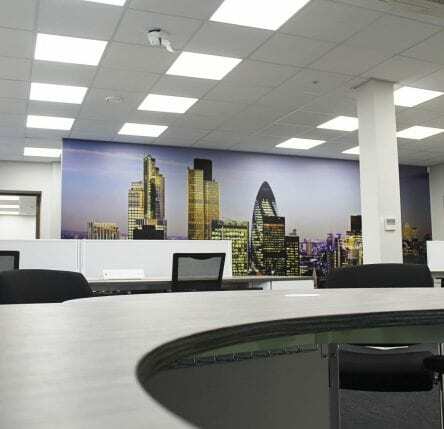 As part of their worldwide expansion QSC approached us to create their UK headquarters in Weybridge and a Showroom in London. 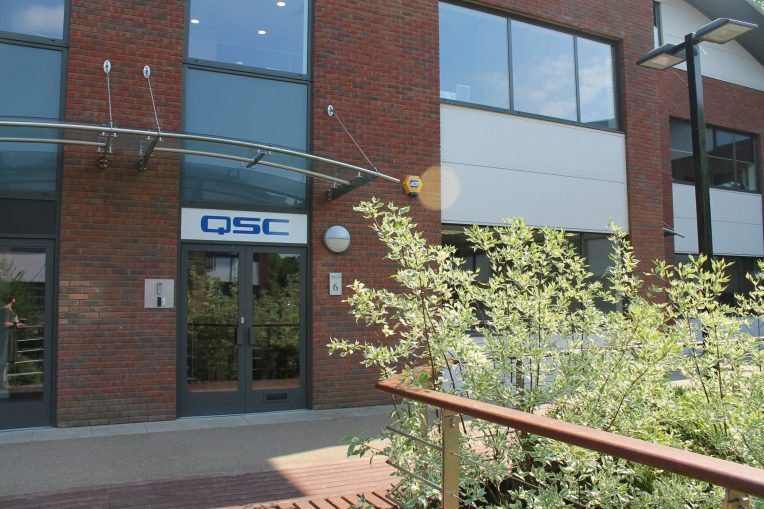 QSC were founded over 50 years ago and are globally recognised as a leader in the design, engineering and manufacturing of high performance audio, video and control products. Employing over 600 people worldwide QSC is widely recognised as being a great place to work attracting the best, most talented individuals. 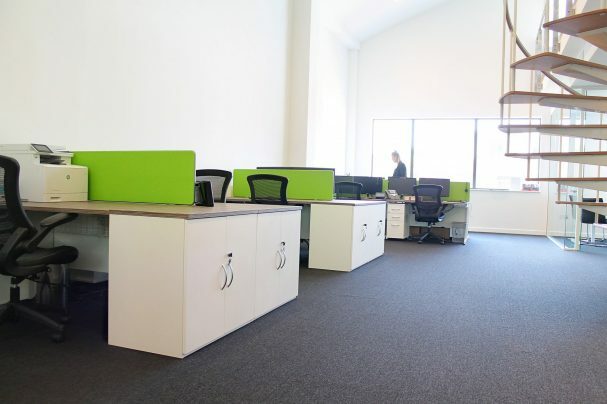 The company strives to provide a casual and fun place to work where people can thrive. With this in mind we set to work! 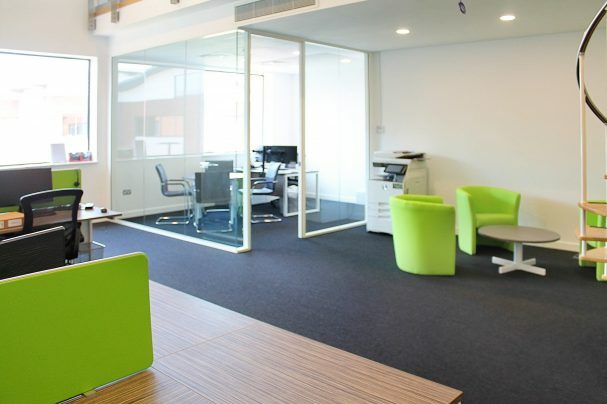 Firstly, in the heart of the city we converted an empty office space into an impressive show suite. 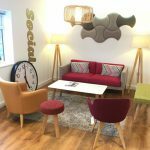 We reconfigured the space to include a stylish meeting room and a comfortable breakout area. 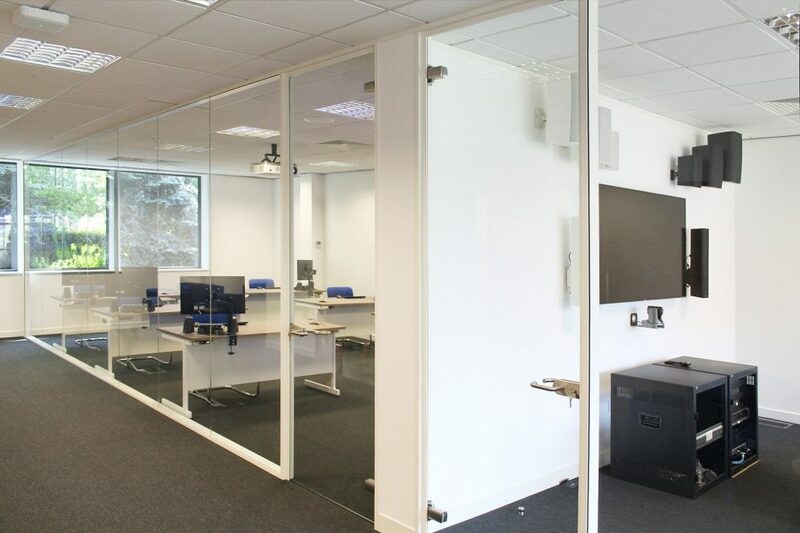 The space now provides the perfect backdrop to experiencing QSC’s exciting range of products. 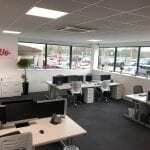 Horizon Business Village in Weybridge is the main UK headquarters and also provides sales and product training facilities. 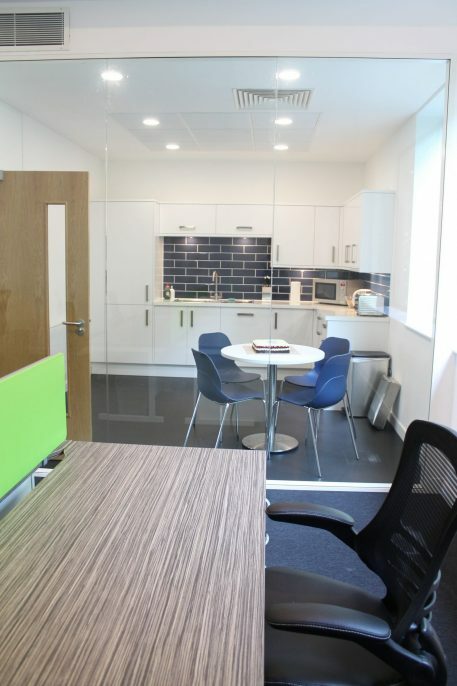 The ground floor is home to an impressive boardroom, a comprehensive/functional training room and breakout/tea point area. 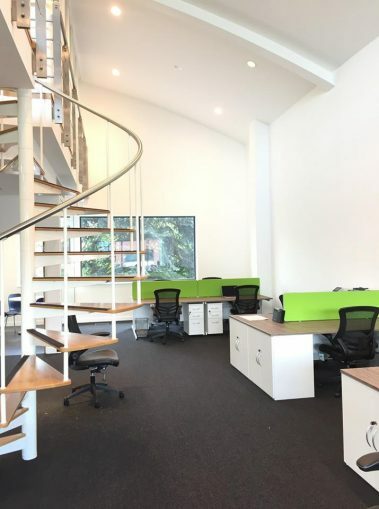 Upstairs double height ceilings add grandeur and amazing light to the open plan bench desking area. 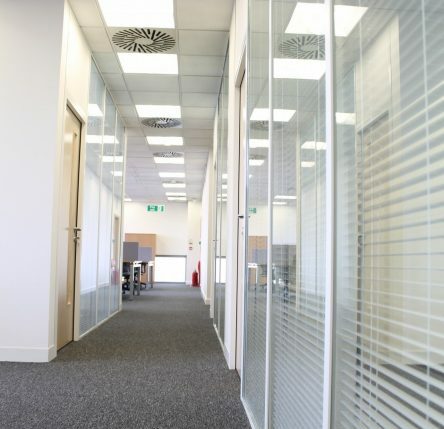 The glass partitioning of the kitchen and executive office on this floor mean that the openness and light is uninterrupted throughout. 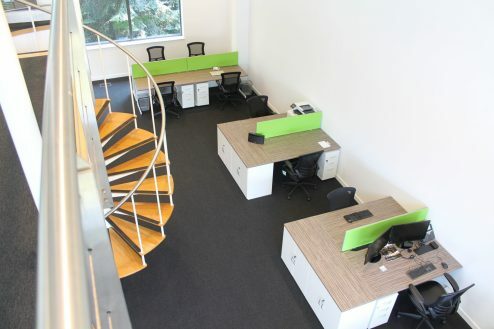 Zebrano desking and lime green screens add a modern feel which is in keeping with the spiral staircase leading to the mezzanine area. 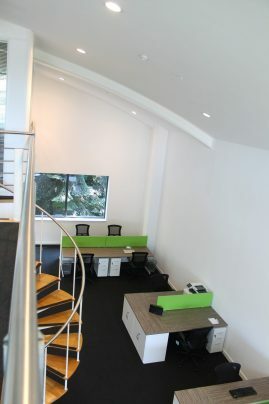 At the top of the stairs there is a further meeting room, break-out space and a tech-area. 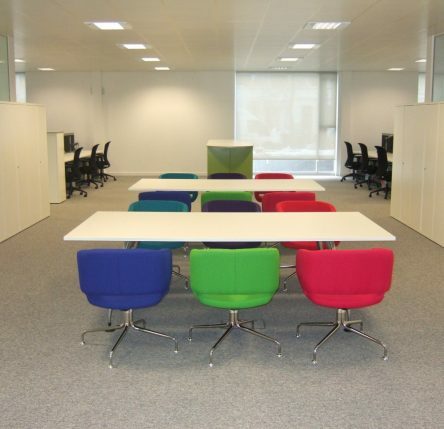 All in all it is a bright, contemporary, inspiring workspace befitting of QSC’s forward-thinking mindset. 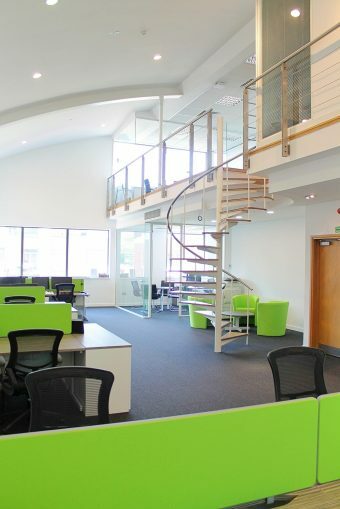 Metric completed the entire fit-out transforming the building from Category A to Category B, incorporating all design, furniture acquisition and installation. 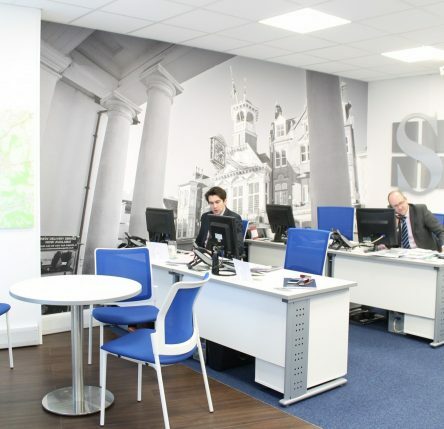 We are delighted to have been part of such an impressive project and we look forward to working with QSC as they undoubtably continue to expand! 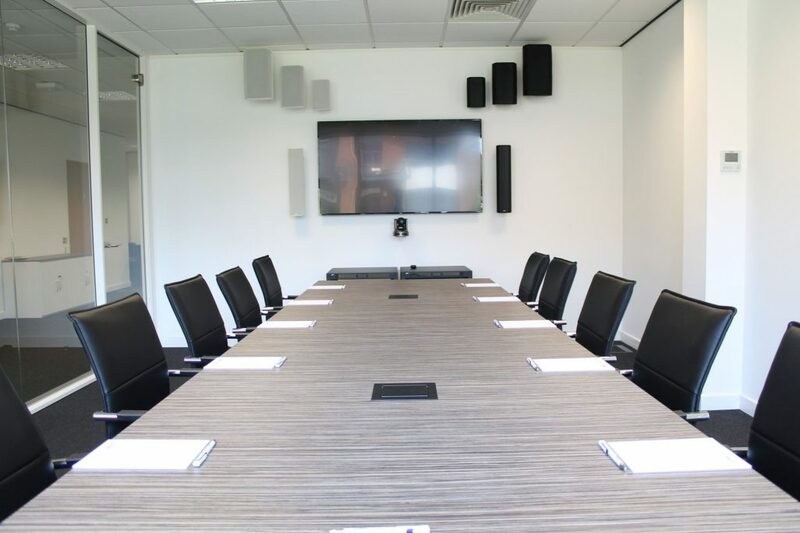 Freedom Technology break out of serviced offices! Improve your workplace health for less than £100! 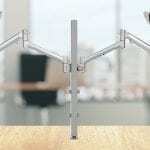 Is your workplace ready for 2019? 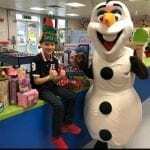 Help us to make Alfie’s Christmas Wish come true! 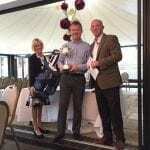 Metric’s Annual Golf Day is on par! Suffering from Presenteeism? Metric can help!